One might question that need for frivolous ornamentation and luxury furniture, that is until you have planted yourself in an original Eames lounge chair, which was originally created in 1956 – a pleasure I’ve recently had in Helsinki. With its initial molded plywood and fibreglass designs, Eames has established itself as a premium brand that is comfortable, reduced to the necessities to provide ultimate ergonomic comfort and the fact that their emissions are eye candy is the cherry on top. 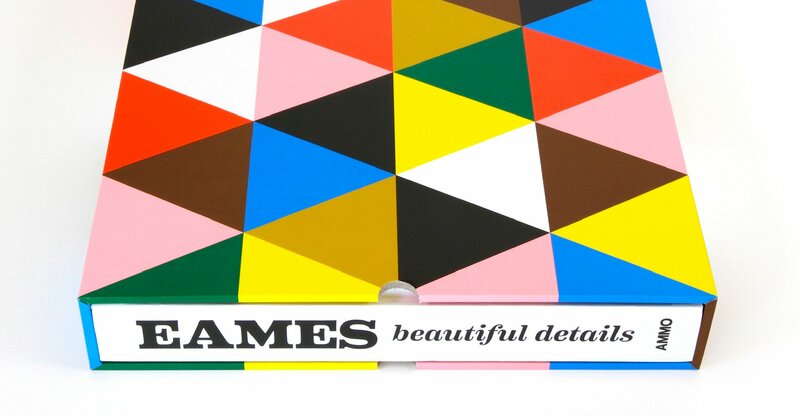 Eames – Beautiful Details is an ode in book form to the brand that does not stop with merely depicting the furniture but digs deeper by illustrating graphical concepts, images and essays that shed light on the underpinning ideas and inspirations that inform the production of what you will eventually sit on and the ethos of the brand that the Eames family has created. An ethos that seems refreshingly devoid of pathos and pretence, which is further substantiated by the family documents and photos that are part of this book. The creator themselves are involved and contribute essays that give an idea not only of the inner workings but also the poetry that informs their approach. What makes the book a must-have for aficionados as well as those only marginally interested in the brand is that it beautifully outlines all the other realms outside the confines of furniture design Eames is active in, e.g. toy design, architecture, exhibitions, films, graphical design, et cetera. What pervades every facet of Eames’ work is that the husband-wife duo that started what has become an influential empire, created a trademark fluidity and seamlessness that is omnipresent in whatever form their output takes, with innovation always on the forefront of their minds. Given the status of Eames and the attention to “beautiful details” they are known for, it is not further wondrous that the tome is housed in an opulent slipcover with a beautifully designed graphic pattern – a patterns derived from their lesser known “toy” designs aimed at children, which gives the affair an additional layer of playfulness and humour and signifies family Eames’ joyful spirit that makes this book a fulminant feast for their eyes. An in-depth, multi-disciplinary essential source of inspiration for anyone remotely interested in the discipline of design and a manifest to the fact that problem-solving and practicality does not have to go at the expense of experimentation and creativity. “So we shall let the reader answer this question for himself: Who is the happier man, he who has braved the storm of life and lived, or he who has stayed securely on shore and merely existed?" If you are interested in a bit more than what is readily available via mainstream channels about Hunter S. Thompson and apart from Johnny Depp’s caricature portrayal of him, this is your accessible resource resource. 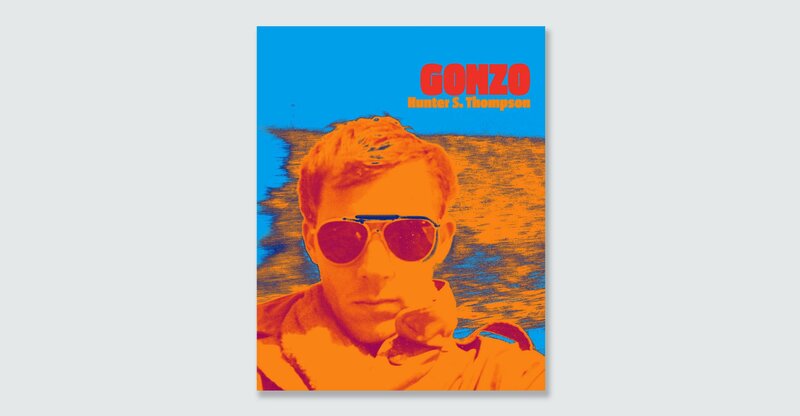 Immensely readable, filled with funny anecdotes provided by his many admirers and Weggefaehrten that have worked and travelled with him detailing the times, trials and shenanigans of this self-confessed and proud drug addict, that has carved his own lane and propagated what has become known as the phenomenon of “gonzo journalism”. While not exactly zero-ing in on every detail of his life and not pretending to be a full-blown biography, this bright, graphical journey which at times invokes the impression that it is deliberately kept in the vein of a loosely arranged scrapbook, cements the impression that most would have had of the man – a maverick that lead a wild life, which is illustrated via the gallery of personal photos that shed light on his prowess away from the public persona in the spotlight. The addition of related unedited excerpts from the man himself from his service days in the Air Forces via stints in the Caribbean and Vegas (including Rum Diary and Big Sur chapters) to the 1972 campaign trail and anthologised letters paint a comprehensive of Hunter’s world, along with photos in mesmerizing quality all printed on high-quality uncoated paper and excellent graphic design with vibrating colour schemes. Needless to say that the at times gossipy tone adds to the entertainment, especially the melange and equal measures of admiration and fear of the man, which can be extracted in between the lines. An authentic, sweeping portrait of a showman, self-promoter, con and show man, father, friend, boss, neighbour, son, husband, and all around entertaining nuisance that shows the reader a bit more of his personality than the crazy, drug-addled gun-loving side of him and evokes a smile here and then – it manages to create a bit of intimacy. Gonzo offers more than a glimpse of Hunter’s personal truths and is an homage to a man that was ahead of his times. The book gives insight on an exemplary life with the most prominent voices coming from his friends and family not shying away from the ugly aspects, not just for die-hard Gonzo enthusiasts.